Reference site visits Summer 2009; We spent the summer of 2009 visiting a number of Archimedes screw sites but also some with more traditional water wheels. 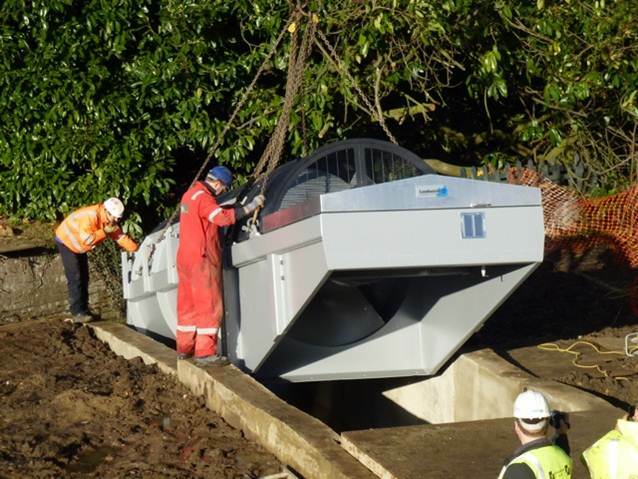 We decided that the Archimedes screw was the right solution for us and were impressed by Mann Power's progress with this relatively new technology. We investigated the potential economics further and the newly announced 'feed in tariffs' raised the potential of meeting our financial objective of a 10 year 'payback'. Selection of MannPower; We selected MannPower to handle all the detailed design and commissioning of the screw but also to handle all the various approvals required. Engage with Environment Agency May 2010; The approval process of the Environment Agency (EA) is apparently often the longest element of such a project and this certainly reflects our experience. They were contacted in early 2010 and made their first site visit in May 2010. When the local authority planning application was submitted in December 2010, however, they were still not ready to give approval and the application had to be withdrawn. It was resubmitted at the end of March 2011 and finally received approval at the end of May 2011. 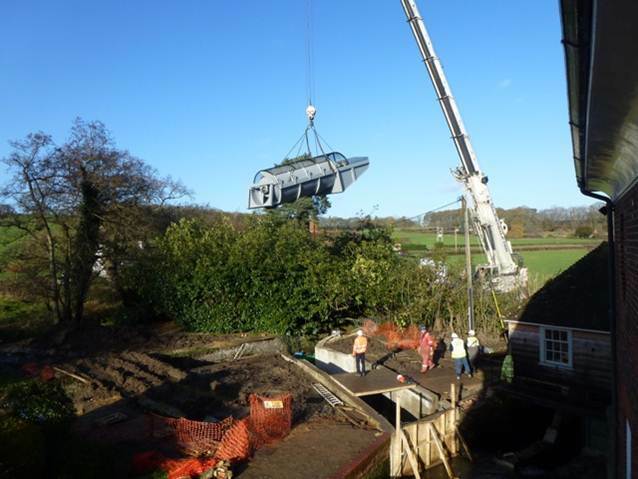 The Environment Agency made a requirement of their approval that we install a fish pass to their design. That requirement would later add c30% to the base cost of the scheme. Commissioning February 2012; The next few weeks were spent commissioning the system and in February 2012 we were generating electricity for the first time! !